We all learn so much more when we move outside our comfort zone, pushing boundaries and testing our known limits. 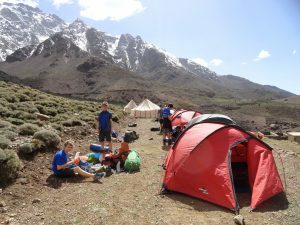 Whether taking part in an activity outside the classroom at school, heading into the British hills, or embarking on a personal development expedition overseas, our approach is the same; to provide an opportunity that will help each participant to develop their potential. 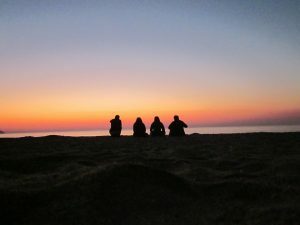 A personal development expedition overseas offers a once in a lifetime opportunity that can have lasting benefits for the future. With our structured programme and framework of support, Wilderness Expertise provides a safe environment for students to embark on this challenge. Throughout the planning and training as well as the expedition itself, participants will develop important life skills that will enhance their employability, such as teamwork, leadership and problem-solving. They will gain valuable experience in budgeting and managing money. Students will have to take responsibility for their own nutrition and hygiene. They will also gain a real sense of global and environmental awareness, having actively engaged with the very different culture and environment of their expedition destination. Through hard work and commitment, students return rewarded with a greater self awareness, confidence and a real sense of purpose for their future, as well as great memories of their time away.